Orlando Terror Attack: Who’s to blame? Last week, yet again, we awoke to the shocking news of an Islamic terror attack with horrific outcomes. What boggles my mind is the fact that time and time again, men, violent and full of hate, tell us so straightforwardly that they are out to get us in the name of their religion, yet so many people refuse to believe it. As soon as the news broke that there were 49 casualties and another 53 injured in the Orlando terror attack last weekend, my Facebook newsfeed went crazy with endless justifications and misplaced anger. So many people suddenly felt the urge to blame America’s gun laws whilst defending Islam as a religion of peace. I understand that most of these people are coming from a good place. They want world peace, for everyone to live together holding hands and loving thy neighbour. It’s a great fantasy, we all wish for that. These people regurgitate rubbish reports which refer to these Islamic terrorists as “lone wolves”. How many lone wolves does it take to have a pack? How many Islamic terrorist attacks does it take for people to realise that there is a war being waged against us and our way of living? I also question, why when it comes to an attack on America does it become a gun issue? No one blamed the guns when it came to the France or Belgium attacks. One of our greatest dangers today is this crazy need to be politically correct, to not call things as they are. Sometimes calling a spade a spade is uncomfortable but must be done. We need to rip off the band-aid to allow for real healing and change. If the self-proclaimed “moderate muslims” really want to prove there are no issues with Islam, they need to be a part of the solution and internal change. Remember, homosexuality is a “crime” punishable by caning, prison and even death in many Muslim countries. It is disingenuous to claim that this attack on a gay nightclub has nothing to do with Islam. 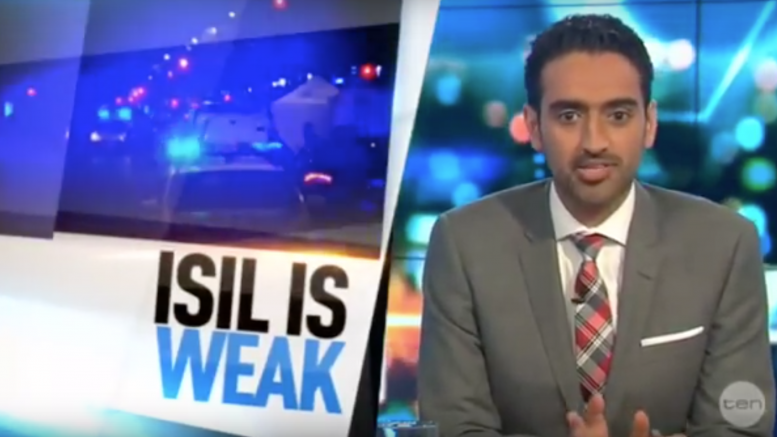 Waleed Aly is a prime example of someone who has a public platform and often speaks for the Islamic community. 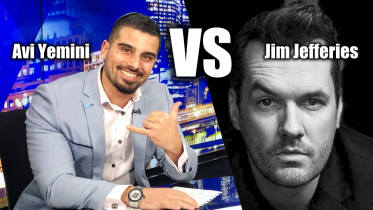 Instead of using his position to help lead change, Waleed often uses his platform on TV, radio and print to justify Islam, minimise these sorts of attacks whilst playing the victim card. He’s created viral videos about how “ISIS is weak” (try telling that to their hundreds of thousands of victims and all the armies who have tried and failed to beat them) and has gone on national TV to crack a joke about how a Jewish company wouldn’t let he and his friends in because he’s Muslim. Instead of this I want to see Waleed Aly own the fact that these are Islamic terrorists and they are simply following the letter of the (Islamic) law. He needs to encourage change within, not deny its existence. He needs to encourage his people to progress their religion just as the Jews have and so too the Christians. Everyone was once barbaric. The Muslims have simply not adapted and evolved their religion like those of other faiths have. The day I’ll truly believe we’re on the right path is when people like Waleed Aly stand up and condemn Islamic terror directly to Muslims, without minimising the cold, hard truth and without justifying it at all. I’m not holding my breath, as I understand the pressures these “moderate Muslims” must face from their own community. But until they grow beyond that, we’re going to see terror continuing to rise around the globe.